Showing 54 articles from May 1, 2013. FRANKLINTON — Members of the Kerr Tar Regional Council of Governments, including all of the governing boards in Franklin County, are being asked to write a check, ensuring that the entity can continue to pull upon federal grants to spur development. Franklinton Mayor Elic Senter, who is also a COG board member and member of that board’s Finance Committee, told town commissioners during a budget work session on Tuesday that governmental entities will be asked to pay a special assessment of $1.39 per resident to the organization. LOUISBURG — Resident Superior Court Judge Robert Hobgood swore in a new clerk of court this week, tabbing a businesswoman with a background in community service and health care. 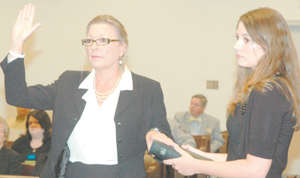 Patricia B. Chastain took the oath of office on Wednesday morning, replacing Charles Davis who filled the position on an interim role after the abrupt resignation of longtime clerk Alice Faye Hunter last month. LOUISBURG — A man arrested for firing shots while in a crowd of party revelers could spend more than two years in jail. When he’s released, though, he won’t be walking the streets of Franklin County. Immigration, said Assistant District Attorney Kristin Peebles, has a detainer on Gregory Vidal. “Once his sentence is complete,” Peebles said, “Immigration will pick him up and he’ll be deported. The passion and dedication of the late Ray Hodges was in sharp focus Tuesday evening at Louisburg College as the school formally announced the creation of the Ray Hodges Fine Arts Complex. Hodges was a local businessman and long-time supporter of the college who died unexpectedly a year ago. But on Tuesday night, one of his visions took a giant step toward reality as the college linked his name to the school’s art facility. FRANKLIN COUNTY — A Franklinton man accused of shooting a friend in the chest is next slated to appear in court next month. Authorities arrested Devin Troy Brown, 32, during the early morning hours of April 25, about eight hours after Franklin County sheriff’s investigators say he shot Seth Gower. Retirement reactions too good to pass up! GOOD MORNING: Following is some of the online comment in reference to my retirement that you may get a kick out of. I did. As I have said many times, I write these columns to be read, not loved. Getting poison out of water should never take 39 years! For a species that’s as totally dependent on fresh water as we humans, we certainly don’t take very good care of the limited supplies that keep us alive. For example, the much-maligned Environmental Protection Agency (EPA) is allowing power plants to dump just as many toxic pollutants into our nation’s waterways as it did in 1982. That’s not only shocking, it’s also unacceptable bordering on completely nuts. 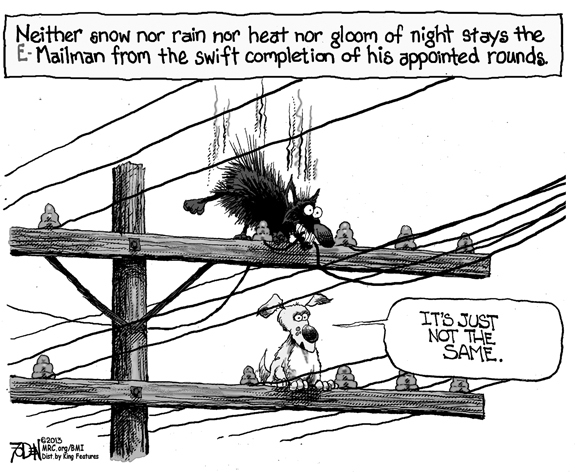 Anyone familiar with the court system understands that action or change generally moves at the speed of dried mud. However, the last month — actually, less than a month — has proven otherwise. On April 9, longtime Clerk of Court Alice Faye Hunter tendered her resignation. The next afternoon, Superior Court Judge Robert Hobgood was swearing in Louisburg attorney Charles Davis to fill in the post on an interim basis. If you couldn’t find something fun to do this past weekend in Franklin County — even if it was just enjoying a picture-perfect Saturday — you just weren’t trying. Folks were out and about everywhere. I will miss Asher Johnson’s column in The Franklin Times. I’ve read just about every one of them since moving here 11 years ago. As a citizen of Franklin County I am embarrassed by the article on the front page of the April 24 edition of the News & Observer. I support most of the nonprofits in the county and it breaks my heart to hear people complaining about a new nonprofit business opening up in Louisburg. WAKE FOREST - James Daylon Wheeler, 65, died Monday, April 29, 2013 at Rex Hospital Funeral services will be held at 3 p.m. Thursday, May 2, at Beulah Christian Baptist Church, with the Rev. Ronnie Snead and the Rev. Ronald Harris officiating. Burial will follow in the church cemetery. LOUISBURG – Colleen “Pete” Pearce Stallings, 83, of Louisburg, went home to be with her Lord and Savior Wednesday morning. ROCKY MOUNT – Funeral services for Betty Lee Maxey Swann, 71, who died Wednesday, April 24, at Rex Healthcare, Raleigh, will be May 4, 2 p.m., at Johnson Funeral Home Chapel in Rocky Mount. LOUISBURG - Edward Daniel Bubelis, 91, died Sunday, April 28, 2013, at Franklin Regional Medical Center. Funeral services were held Wednesday, May 1, at Hill Crest Memorial Park in Sewell, N.J.
LOUISBURG - Jackie Moore Gupton, 53, of Louisburg died Tuesday, April 30, 2013. Funeral arrangements are incomplete at this time. LOUISBURG - Luther Burrell Jr., 91, died Thursday, April 25, 2013. Funeral service was held Monday, April 29, at Haywood Baptist Church, Louisburg. Burial followed in the church cemetery. LOUISBURG - Mary Alice Gupton Denton, 88, of Louisburg died Tuesday, April 30, 2013 at Rex Hospital. She was born in Franklin County to Ben and Pearl Burnette Gupton. In addition to her parents, she was preceded in death by her husband, Joseph Denton, and her sister, Inez Griffin. She was a member of Wood Baptist Church where she served as treasurer for over 50 years, Sunday school teacher for over 40 years and was a member of the church choir. WAKE FOREST - Mattie Lee Matthews Davis, 94, died at the Hospice House on Monday, April 29, 2013. Graveside service was held Wednesday, May 1, at Oakwood Cemetery, Raleigh. THE RIGHT APPROACH. Bunn’s Troy Bennett watches this iron shot fly toward the 18th hole during Monday afternoon’s Northern Carolina Conference links match at The River Golf Course at Lake Royale. 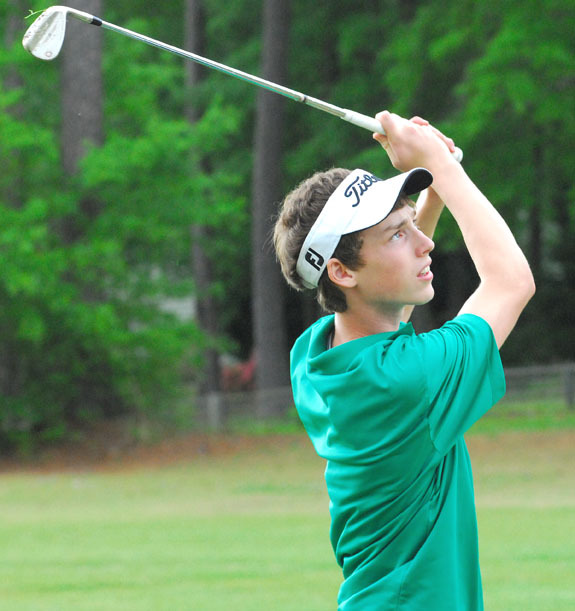 BUNN -- William Lewis literally went down to the final few holes to repeat as the Northern Carolina Conference golf championship. While there was little suspense involving the NCC team standings heading into Tuesday’s regular season finale at The River, there was plenty of excitement surrounding the individual winner. JUMPING TO CONCLUSIONS. Franklinton High School’s Rondez Taylor tries to clear the bar in the boys high jump competition during last Thursday afternoon’s home conference track and field meet against Bunn. 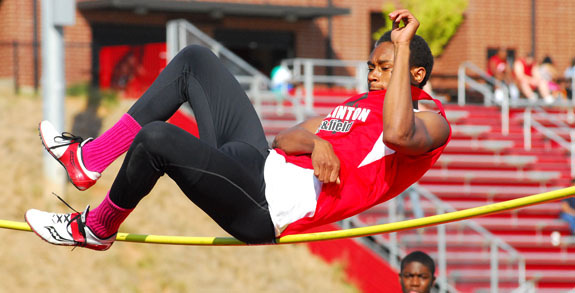 FRANKLINTON -- After spending much of the spring working on techniques, training, lowering times and gaining heights and distances, it’s time to get down to the meat of the 2013 schedule for Franklin County’s track and field athletes. Franklinton wrapped up its regular season last Thursday by sweeping a Northern Carolina Conference matchup against league and county rival Bunn. DEPALMA’S DELIVERY. 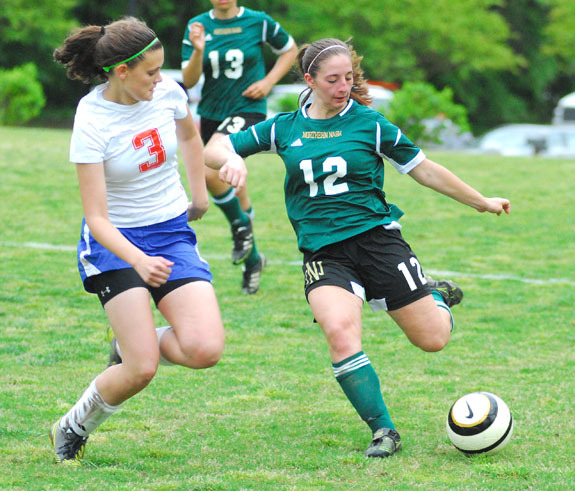 Northern Nash’s Natalie DePalma sends the ball forward as Louisburg’s Kelsey Harris defends during Tuesday’s non-conference girls soccer matchup at Joyner Park in Louisburg. LOUISBURG -- You knew it was going to be a strange evening on the pitch when, during pre-match drills, coaches from Louisburg and Northern Nash were informed that one team would have to move its bench. Some referees tend to be more by-the-book than others, and this particular official insisted that the benches needed to be on the opposite sides of the field -- instead of the same-side format utilized at Louisburg’s Joyner Park. Due to a paperwork error, Bunn High School has forfeited all 10 victories from its 2012 varsity football season. During a check of mandatory physical forms for the spring track and field campaign, it was discovered that one of the potential athletes -- someone who suited up for the football squad last fall -- was competing with an expired physical on the gridiron. Bunn self-reported the violation to the North Carolina High School Athletic Association and received a $500 fine. 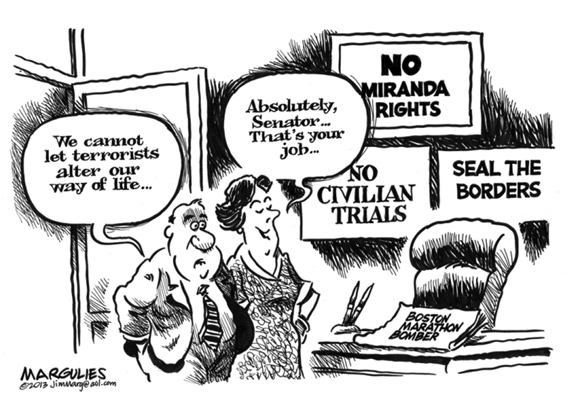 STRAIGHTEN IT OUT. Bunn freshman Nicholas Sanders pulls a pitch for a foul ball during Tuesday night’s home diamond victory against the Northwest Halifax Vikings. 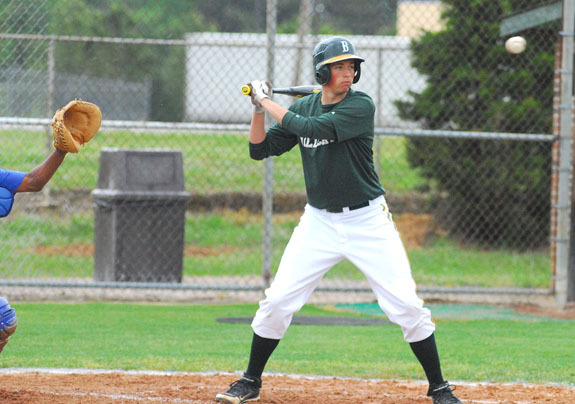 BUNN -- Leonard Allen thought his Bunn Wildcats had a good chance to repeat as the Northern Carolina Conference baseball champions -- if a few things fell into place. Allen was looking for a leadoff hitter and a starting pitcher -- and he found them both in freshman standout Nicholas Sanders. WOODBRIDGE, VA. -- Michael Taylor lined the game-winner off the left-field wall in the bottom of the seventh inning as the Potomac Nationals rallied past the Carolina Mudcats 4-3 in the finale of a Class A Carolina League baseball twinbill in Northern Virginia. The walkoff, coupled with a 5-0 shutout in game one, earned a doubleheader sweep for the Nationals (12-13). The Mudcats (10-15) have lost four straight. CHAPEL HILL --Coaches, administrators and media representatives will be among those receiving awards today when the North Carolina High School Athletic Association holds its 2013 Annual Meeting. The event is scheduled for the Dean E. Smith Center on the campus of the University of North Carolina at Chapel Hill the day after the spring meeting of the NCHSAA’s Board of Directors has concluded. LOUISBURG -- The Louisburg College baseball team improved its season record to 32-13 with a pair of non-conference wins last Saturday at home against Rappahannock Community College out of Virginia. Kerr-Vance Academy alum John Allen earned the win in game one where he threw all five innings in the run-rule shortened 12-0 game. The sophomore pitcher only allowed three hits and picked up four strikeouts in the shutout. ROANOKE RAPIDS -- Under the North Carolina High School Athletic Association’s tennis rules, players must choose to either compete in singles or doubles during postseason action -- they can’t do both. 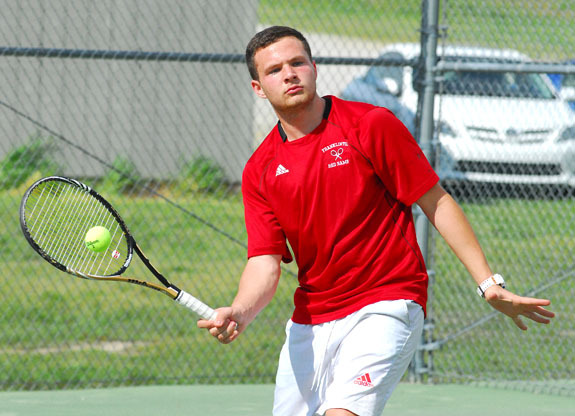 For Franklinton’s Garrett Freese and Grant Poupard, the decision was an easy one -- they were going to team up for doubles, beginning with action last week at the Northern Carolina Conference Championships at Roanoke Rapids. 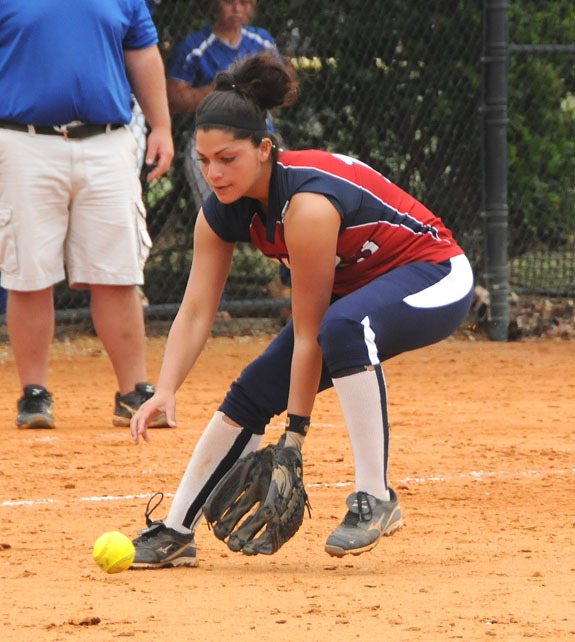 LOUISBURG -- Louisburg College carried plenty of momentum and optimism into last weekend’s action at the annual Region X Softball Tournament in Aiken, S.C. 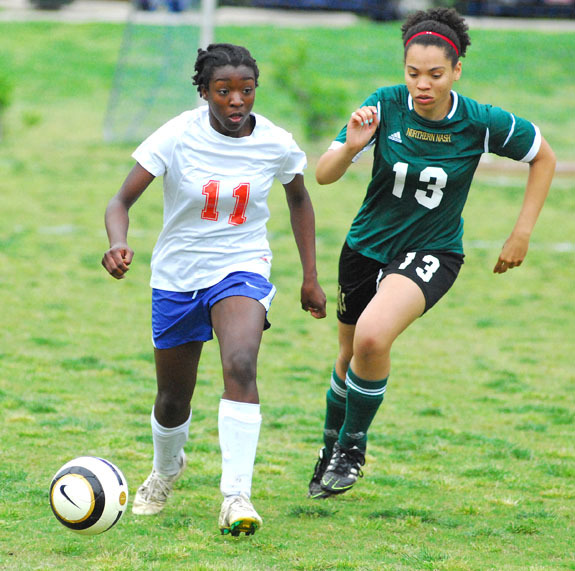 But LC’s stay would be a short one as the Lady Hurricanes couldn’t extend their recent winning ways. Heading into the tourney with nine consecutive victories, Louisburg dropped its first two matchups and were knocked out of the double-elimination format. A TRUE HALL OF FAMER. 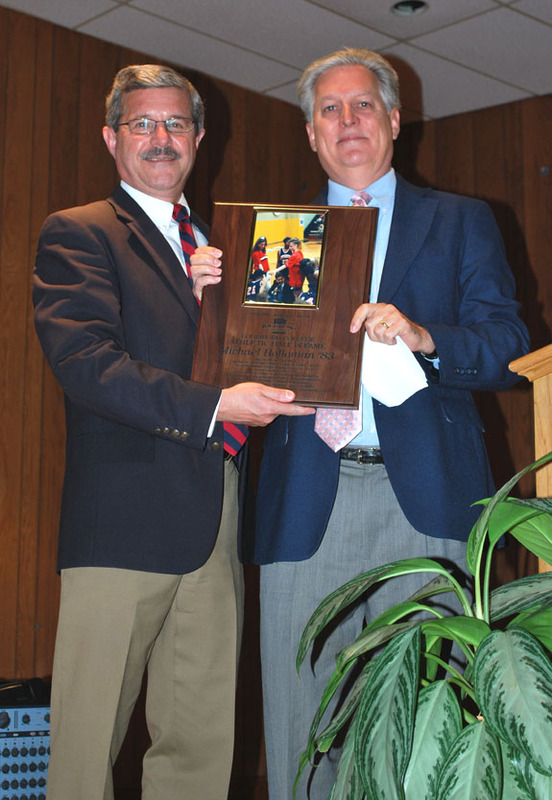 Athletic Director and former women’s basketball coach Mike Holloman (right) is presented with a plaque by Louisburg College President Mark La Branche after Holloman was inducted into the LC Athletics Hall of Fame. LOUISBURG -- In his role as athletic director, Mike Holloman played an integral part in the planning and selection process for the first two Athletics Hall of Fame Classes at Louisburg College. Holloman was instrumental once again during the latest induction ceremony, which was held last Saturday on the LC campus. BOSTON, MASS. -- Baseball is now a business for Paul Clemens in his role as a relief pitcher for the Houston Astros. But Clemens still must have felt a bit of a tingle when he was summoned to the mound last Friday at historic Fenway Park when the Astros tangled with the Boston Red Sox. 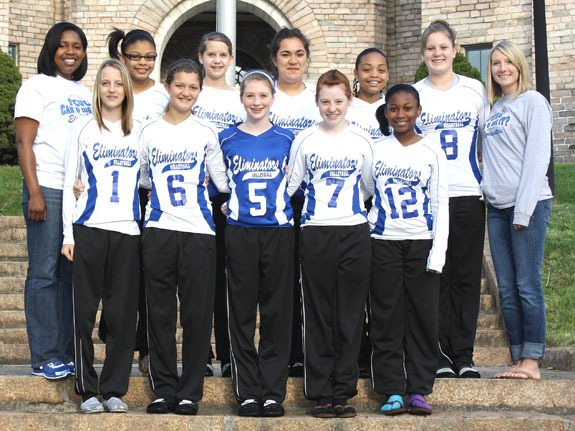 The Franklin County Volleyball Club Eliminators rolled through the competition to win the Jr. Hi Neighbor Tournament on April 21 in Asheville. The Elminators claimed first place on the Club Gold level. The team, which is coached by former Louisburg High School players Brittini Pittman and Lindsey Ball, consists of students from Bunn and Terrell Lane Middle Schools. LOUISBURG -- Louisburg College will kick off its 2013 football season Aug. 31 with a home game against Virginia Beach Military Academy. 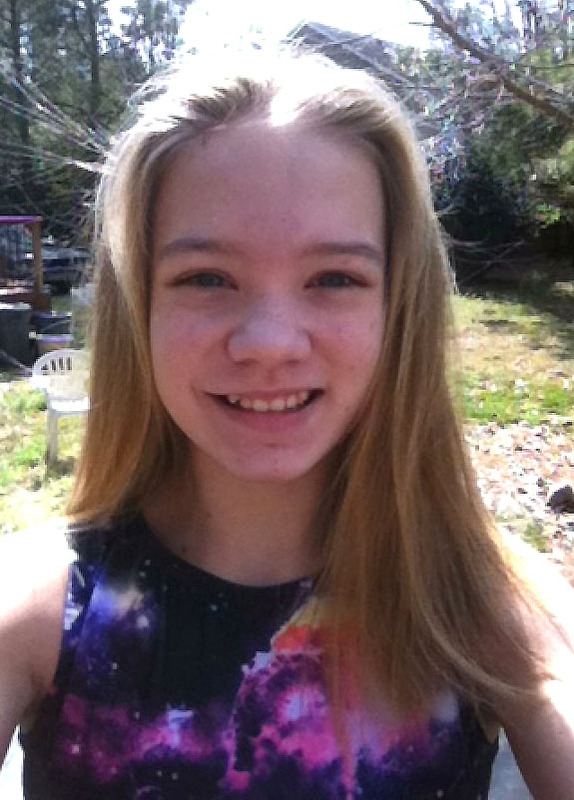 Kennedy Wylie, a seventh-grader at Bunn Middle School, recently won first place on vault to become the North Carolina Platinum Leavel State Champion in the 12-Year Old Division at the X-Cel Prep State Meet. The event was held in April in Wilmington. Wylie competes for Tri-County Gymnastics in Youngsville and is coached by Gene Leone and Bertina Harris. She has been involved in gymnastics for six years. 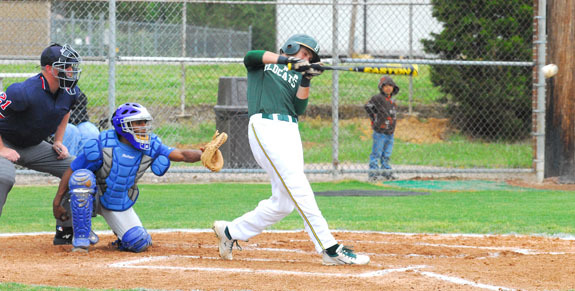 Bunn High School senior Braxton Lamm lays off this pitch during Tuesday night’s Northern Carolina Conference baseball win versus Northwest Halifax. 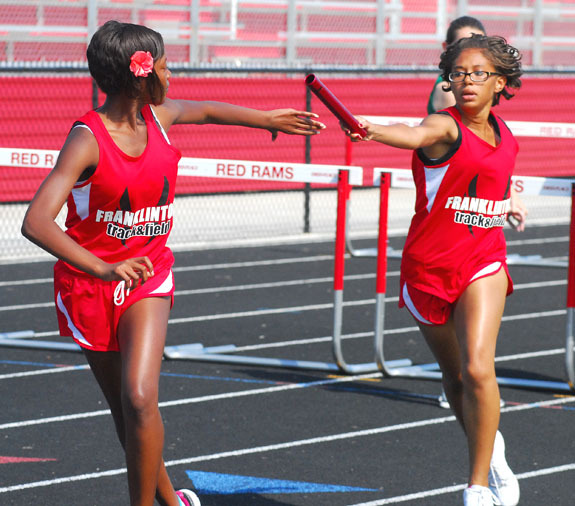 Franklinton’s Tasia Lynch (right) hands the baton off to teammate Tykima Alston as part of last Thursday afternoon’s home conference meet against Bunn. 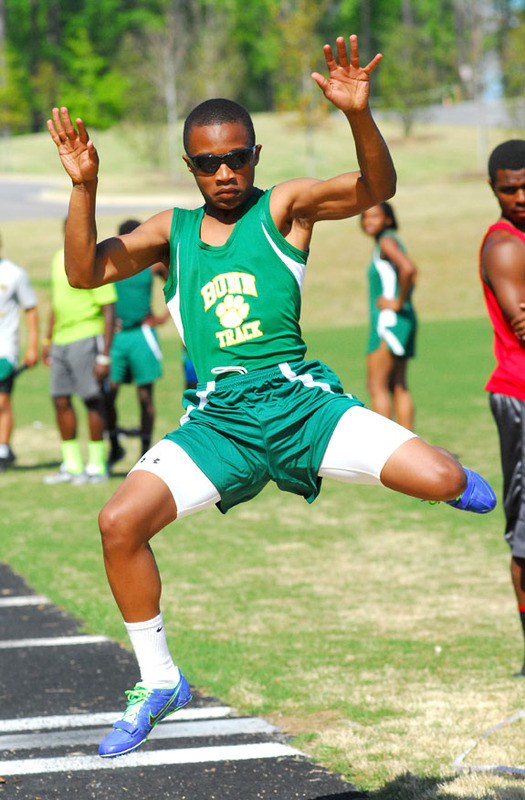 Bunn High School’s Bruce Adams competes in the long jump as part of last Thursday’s Northern Carolina Conference Track and Field meet at Franklinton. Louisburg High School’s Phoenix Spivey (left) hurries the ball upfield for the Lady Warriors during Tuesday night’s home loss to Northern Nash in a non-conference girls soccer showdown. The event was staged at Joyner Park in Louisburg. 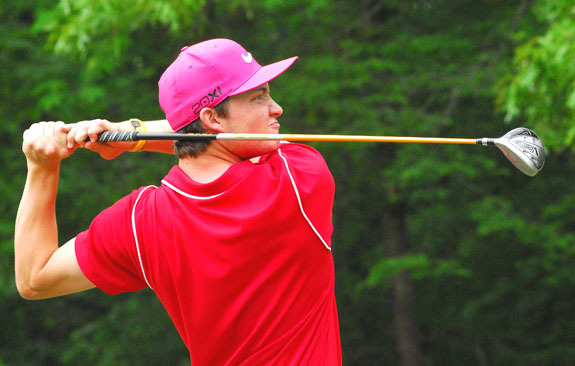 Franklinton High School golfer Kevin Martin dedicated Monday’s round to his grandmother. 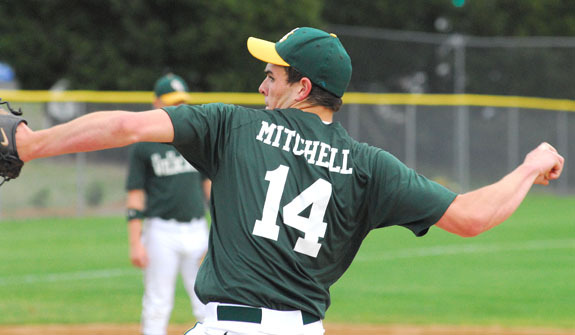 Bunn’s Timmy Mitchell earned the start on the mound Tuesday night against the Northwest Halifax Vikings. David and Cindy (Ray) Chapman of Durham announce the engagement of their daughter, Maggie Chapman, to Robert Hubbard, son of Jeff and Patty Hubbard, also of Durham. The bride-elect is the granddaughter of Mr. and Mrs. Bobby L. Ray of Pilot. 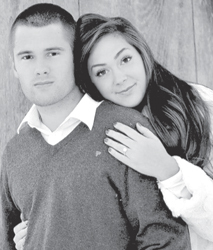 A June 29 wedding will be held at Adaumont Farm in Trinity. Mr. and Mrs. Fred W. Harris and Mr. and Mrs. John B. Evans of Louisburg announce the engagement of their daughter, Brittany Leigh Evans to Taylor Stephen Elliott, son of Cynthia Elliott of Raleigh and Mr. and Mrs. Frank Stephen Elliott of Clayton. 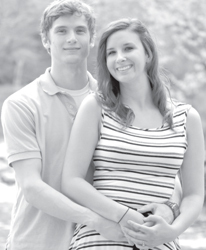 The wedding is planned for Saturday, May 11, 2013 at 2 p.m. at Trinity United Methodist Church. The Nashville Chamber of Commerce will host its 17th Annual Nashville Blooming Festival on Mother’s Day weekend, May 8-11, in downtown Nashville. Amusement rides open Wednesday, May 8, at 5:30 p.m. in the parking lot next to the Nash County Courthouse. Wednesday and Thursday night, purchase a wristband for $17 (per night) for unlimited rides from 5:30-9 p.m.! Regular ticket prices apply Friday night, Saturday and Saturday night. The third and final spring concert of the 2013 season at Warren County’s historic Cherry Hill will feature three members of the Meredith College faculty in a Sunday event. The concert, which commemorates Alice Vaiden Williams, will begin at 3 p.m. Sunday, May 19. Franklin County sheriff’s deputies are looking for suspects who damaged a school. Laurel Mill Elementary Principal Genie Faulkner reported the morning of April 29 that two large double pane windows were broken. According to the report by Dep. R.E. Shearin II, it appeared that someone used rocks to do the damage. Louisburg High School’s Concert and Symphonic Bands will put on their annual Turn of the Century performance this Saturday. The 6 p.m. event will take place in downtown Louisburg, a tradition begun 18 years ago by veteran band director Brian D. Miller. The concert is a quick-paced 35-minute concert. SIGNUP. Lori Smith, left, helps parents Becky and Danny Langton sign up for the races, along with their kids, Sammy and Sidney. 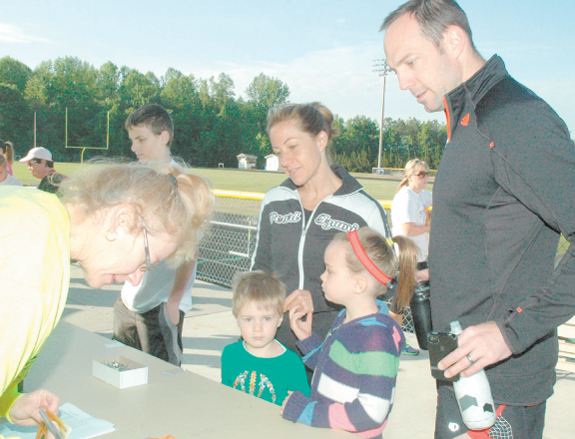 BUNN — The annual 5k event in Bunn is about more than reaching the finish line. Ultimately, the goal is to raise enough funds and awareness to build a park in town. 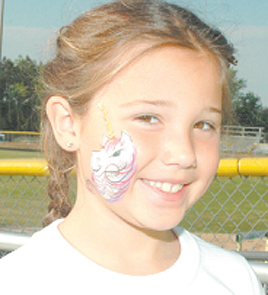 But it is the Bunn Fun Run, and organizers, runners and others took note of the name. “I think it’s a great event,” said Becky Berbert, an Apex resident with property at Lake Royale. FRANKLIN COUNTY — A group of equine enthusiasts provided the county’s animal control department with seed money they can use to help take care of horses in distress. Animal Control Director Taylor Bartholomew accepted a $600 check recently that they hope to pair with other funds to buy a horse trailer and other items they would need to perform horse rescue efforts. Ah-h-h, springtime! Tractors, kids and vintage cars! CHECKING THE TIRES. 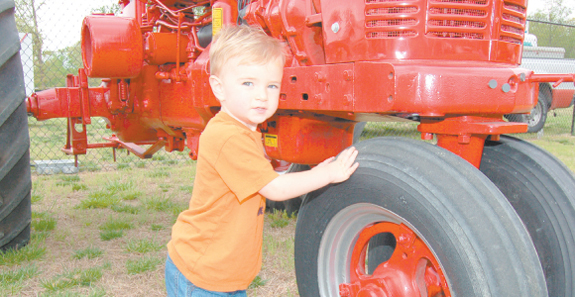 Billy Morando, age 2 of Clayton, gets an up-close view of one of the many antique tractors during the Norris Creek Antique Tractor Show.